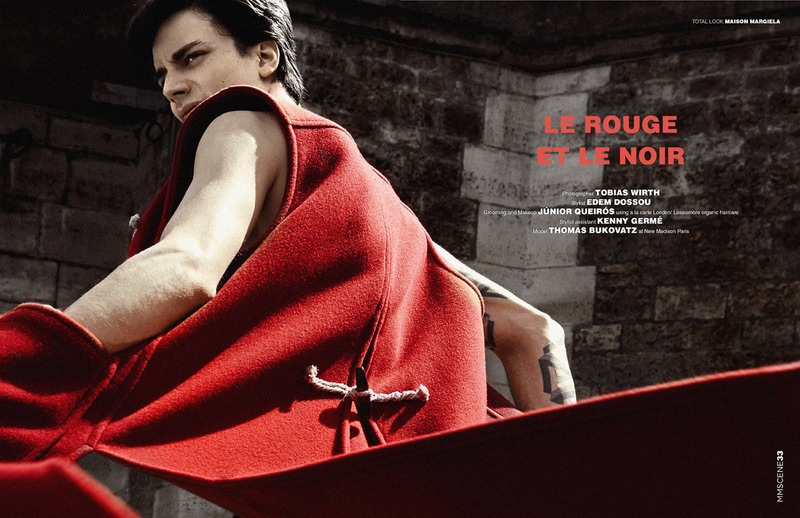 Le Rouge Et Le Noir story captured for our MMSCENE Magazine‘s June 2016 edition by fashion photographer Tobias Wirth features model Thomas Bukovatz at New Madison Paris. Styling is work of Edem Dossou assisted by Kenny Germe, with grooming and makeup by beauty artist Júnior Queirós using A La Carte London and Lessismore Organic Haircare. 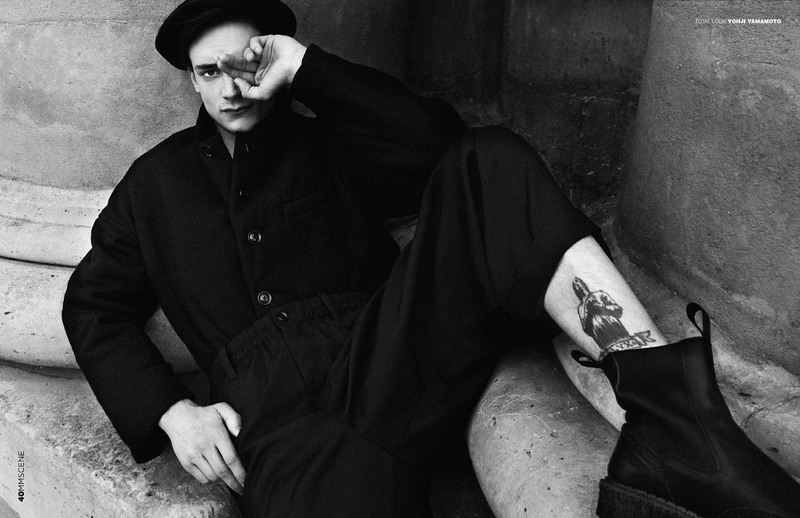 For the story Thomas is wearing selected looks from top brands such as Maison Margiela, Yohji Yamamoto, Acne Studios, Juun J, Lanvin, and Kenzo.